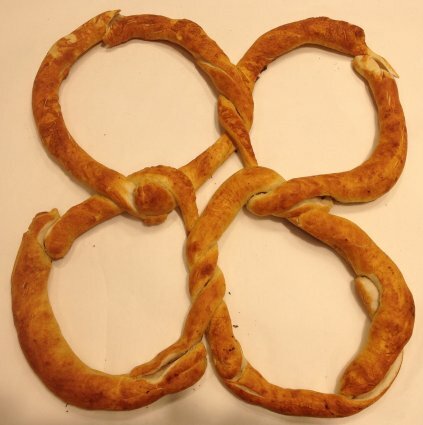 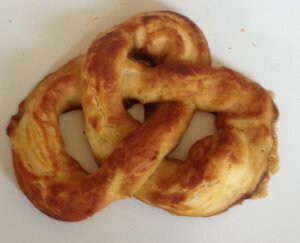 A P(3,-2,-2,2) made by Sandjer, pastry chef at Bretzel Love. 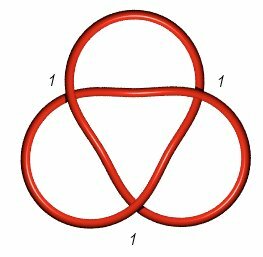 Pretzel links can also be characterized by the fact that their associated graph has n vertices placed on a circle with a series of multiple edges of orders (the edges all have the same sign as ). 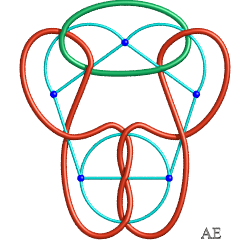 For example, the blue graph opposite is associated to P(3,2,2). 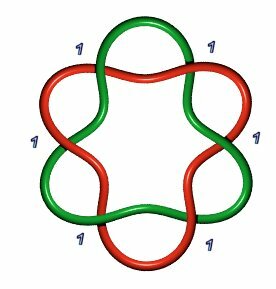 The number of blades is equal to the number of even , if at least one of them is even. 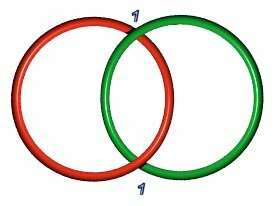 If all the are odd, then there are one or two blades depending on whether n is odd or even. 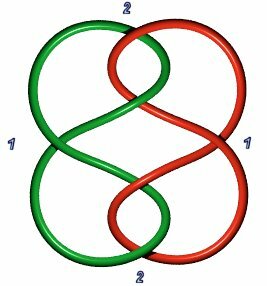 If all the are positive, then the link has alternating crossings. 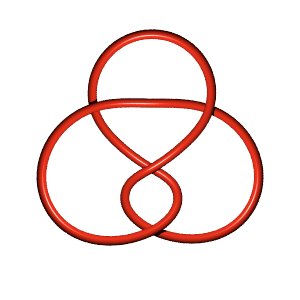 But this does not hold for the following one (6.1.3): . 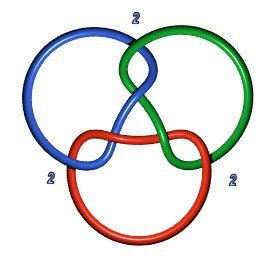 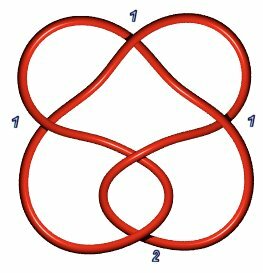 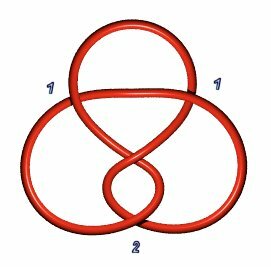 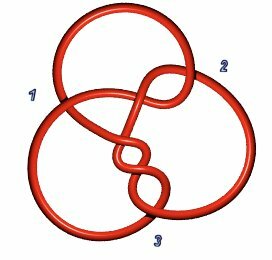 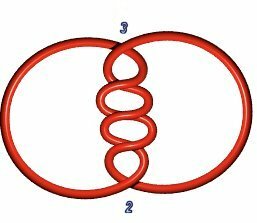 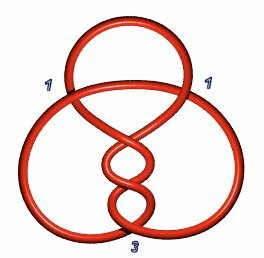 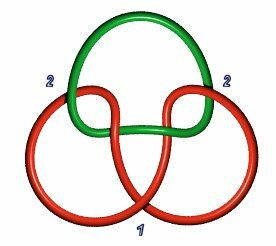 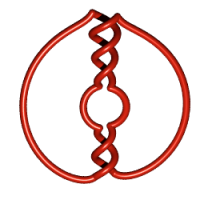 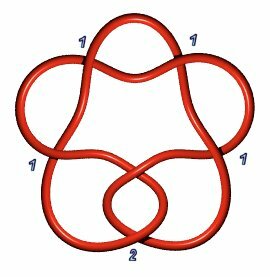 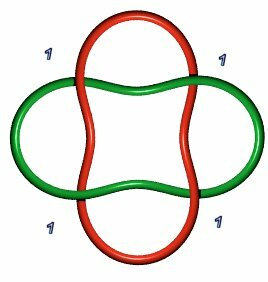 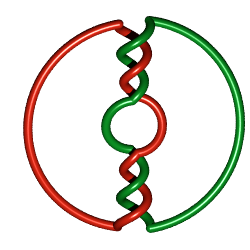 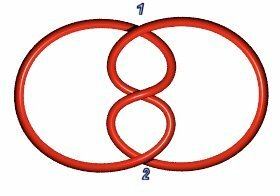 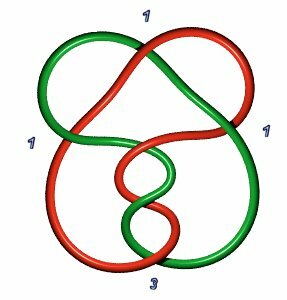 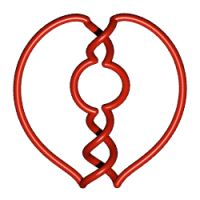 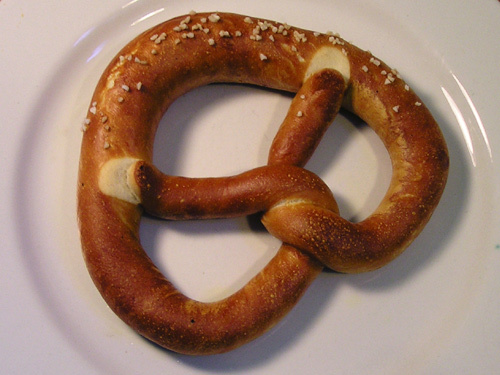 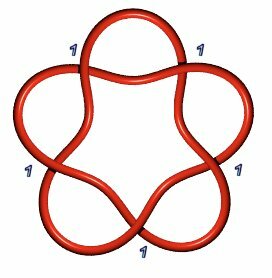 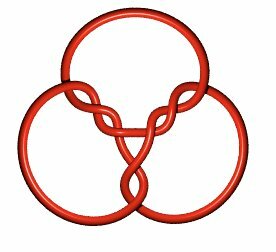 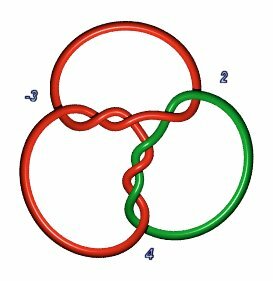 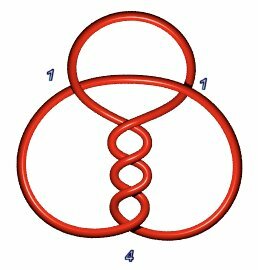 For odd values of n, the Pretzel knot P(1,1,...,1) with n "1" is equivalent to the torus knot T(n,2). 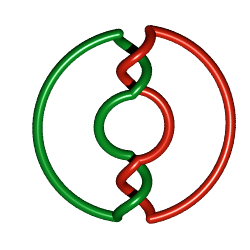 When some of the are negative, the minimal number of crossings is less than or equal to the number of visible crossings; for example, the Pretzel link P(2,–1,–1) opposite is in fact a trefoil knot with 3 crossings, and the link P(2,1,–1) is straight out trivial. 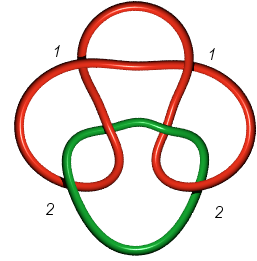 The third view displays the link P(2,–3,–3) that has eight visible crossings and for which 8 is indeed the minimal number of crossings, see the 8.1.19 page.